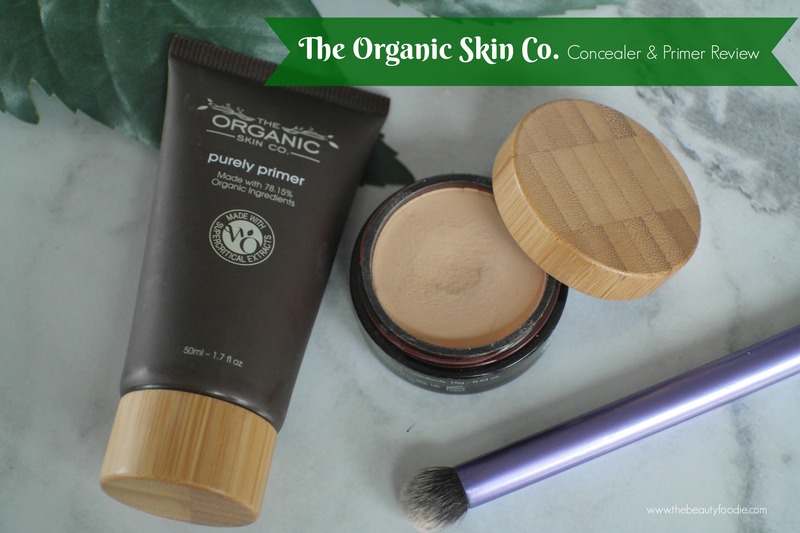 World Organics Soft Buffer Brush – That’s a foundation brush?! I spontaneously purchased a new foundation brush, World Organics Soft Buffer Brush, a few weeks ago. The uniqueness of this soft buffer brush totally caught my attention, it was unlike any other brush I own (in my,errr, large stash!). It was $25. What can I say, I was caught at a weak moment. I’m a naturally curious creature with an insatiable appetite for beauty. But, you know, I kind of needed it. I’ve showed a few friends my World Organics Soft Buffer Brush and they all said the same thing…. Yes, there were raised eyebrows. What sceptics! That immediately made me think that a demo video was a good idea. Boom. They say don’t judge a book by its cover. 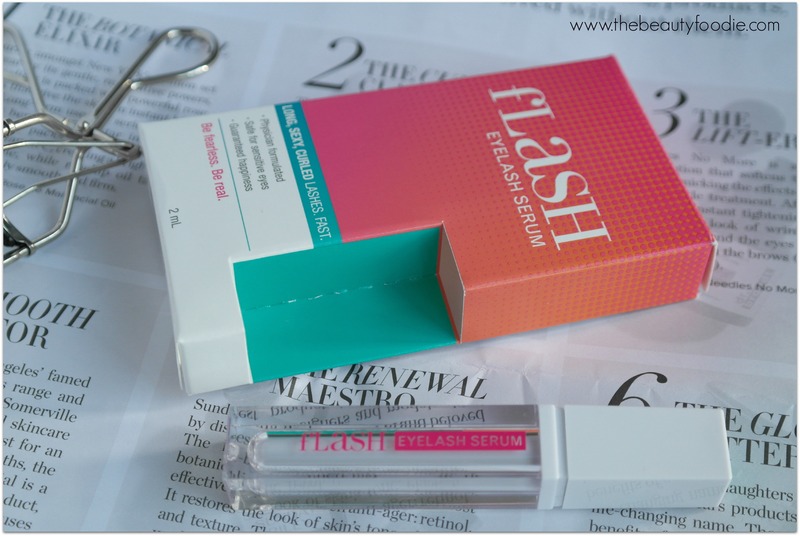 Well, I blatantly did that when I was offered the opportunity to review two items from World Organics makeup range (which is called The Organic Skin Company). Can we just talk about the bamboo packaging for a second? Perfect and gorgeous. I haven’t seen packaging this cool for a while. Yes please, World Organics, thanks for asking, I’ll try a few things: Your packaging is The Bomb. Backtracking a little, I’d stumbled across some images of products from World Organics on Facebook, but I hadn’t ventured as far as checking any products out. Why? To be honest, there so many makeup and skincare products popping up now it’s hard to try everything. Sadly, my wallet is not bottom-less. Anyway, when Maryanne Gilles contacted me and introduced herself: Makeup Artist and World Organics Consultant, she piqued my interest. I sensed (and hoped) that as a makeup artist, she’d be using products that worked. Bingo. During our correspondence Maryanne relayed to me that, as a make up artist (and a beauty therapist) she wishes World Organics had been around earlier in her career. 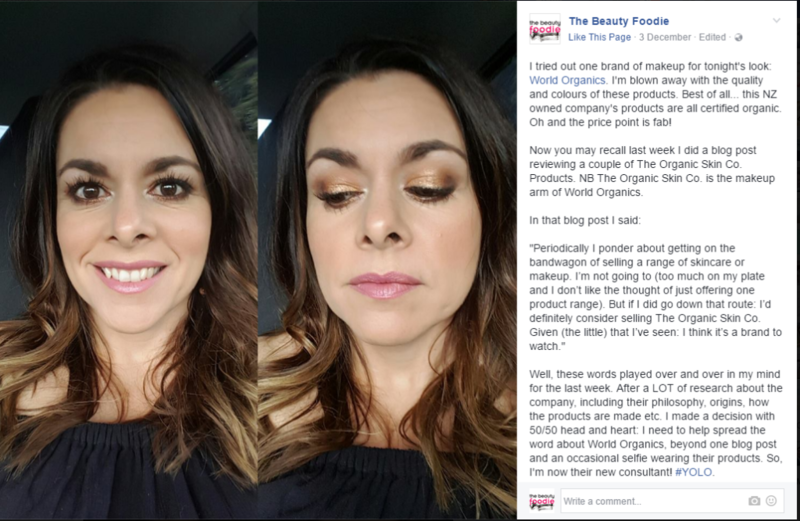 Also, I was interested to learn Maryanne only uses World Organics makeup on her clients.